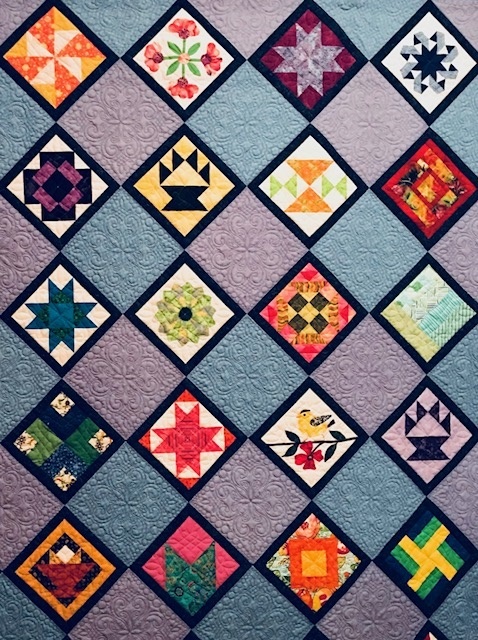 Quilts tell stories, and quilt history is full of myths and misinformation as well as heart-warming tales of service and tradition. Quilting is NOT just an American art; nearly every world culture that has cold weather uses quilted textiles. 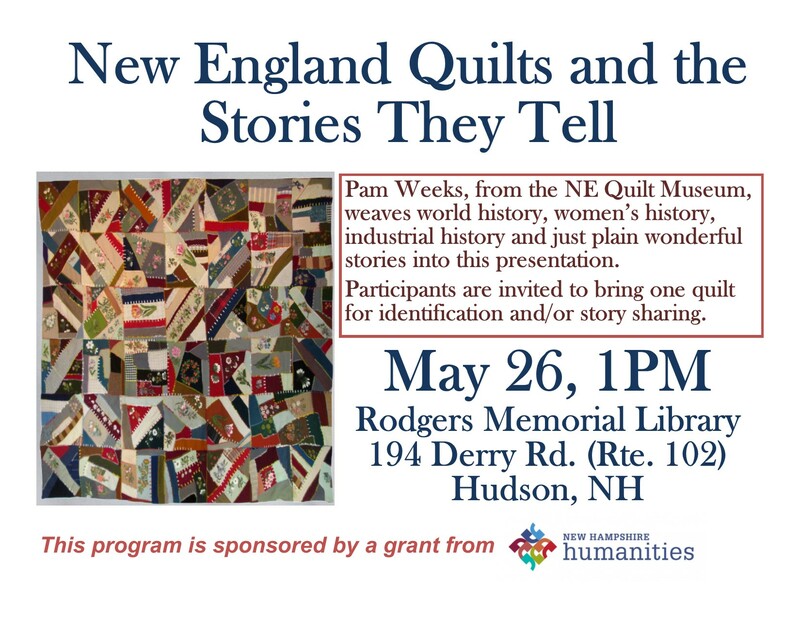 Pam Weeks, from the NE Quilt Museum, weaves world history, women’s history, industrial history and just plain wonderful stories into her presentation. Participants are invited to bring one quilt for identification and/or story sharing. This program is made possible by a grant from NH Humanities. This entry was posted in Other Guillds Information.